​Aero will provide all the necessary information, immediate estimate and options, if available, to allow you to make the best decision. Our trusted professionals try to be available 7 days a week for emergencies to assist you with any heating cooling problem that might come up. ​We're Open, Call Right Now! You will find a solid line of heating, air-conditioning and ventilating equipment for your needs. ​Has your home’s cooling system ceased working? Heat getting to you? Don’t overpay for routine repairs and maintenance—call Aero Heating, Cooling & Appliances for professional repairs with prices that are competitive with anyone around. We are an experienced Air Conditioning contractor, and will ensure that any issue you have with cooling will be dealt with efficiently, quickly and affordably. With high-quality workmanship, we will keep your A/C running for longer. Clicking, warm air is blowing or no fan is running, don’t delay in calling us. 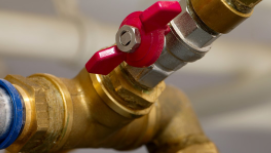 Home heating is perhaps the most valued home service when it breaks down. Waking to a cold house can be devastating. 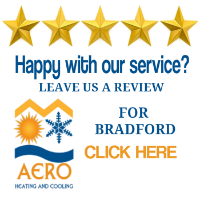 When you need a furnace repair company in York Region, Aero Heating, Cooling and Appliances will be there for you almost instantly. We know the anxiety and discomfort loss of heat can cause. Our service technicians assess the situation and give you choices for furnace repair or replacement if necessary, although most visits result in cost effective repairs. But we are always ready for whatever the problem is to restore heat. Always cost effective. ​Aero Heating Cooling and Appliances services all makes of gas stoves, dryers and ovens including installation, repairs and gas line installation in York Region. Our services include gas line / pipe relocation and professional gas line installation for your indoor and outdoor Propane or Natural Gas needs such as cooktops, fire pits, BBQ's and more. New construction, appliance conversion /retrofit, we do it all. We will assess your project and get it done right, the first time, with as little disruption to your home or business as possible. Using only the highest quality parts and bring the best quality service, Aero will keep your home at just the right temperature, the comfort zone that you choose, regardless of how extreme the Southern Ontario weather can be. Our licensed technicians specialize in the installation, maintenance, and repair of most heating and cooling systems, servicing all makes and models; we offer free in-home estimates, and emergency service should your system have left you in the frigid cold, or the sweltering heat of summer. Aero Heating & Air Conditioning has developed a reputation for solid business practices of ethics and fair pricing to go along with our expertise second to none. We always utilize Factory Authorized parts, or we will tell you otherwise, which goes a long way to promote product efficiency and helps your equipment last longer. We are always training and learning all aspects of heating and cooling systems and technology and when we come to your home or place of business, guarantee that we are up to date on the equipment and features, especially as it relates to environment and energy cost, major concerns to the average individual. At Aero Heating & Air Conditioning repair service in Vaughan, we have only certified technicians, those having demonstrated specialty knowledge and aptitude as a result of training and schooling accepted by the industry at large. We understand that you are concerned about the environment, both from an energy use and energy cost perspective, and that you want the most efficient system available when making upgrades and/or fixes. Indoor air quality is a major concern as well and we have the expertise to make sure you are breathing the purest air possible. With our workmanship, and tech knowledge, we guarantee that we will provide you with the best choices on the market if we are installing a system, or the best choices for any repairs undertaken. For expert installation, repairs and service in the GTA, please call us at 647-953-5526 where you will usually speak to a live representative, (if not we get back to you very quickly), who will immediately put our resources to work for you. We guarantee speedy resolution to any difficulties you might be experiencing, and we will get you back to the comfort you expect with your satisfaction completely assured by Aero Heating, Cooling, Water Heater and Gas Appliance Repair Vaughan. Why Choose York Region's Best Heating, Air and Gas Care? ​We often think of air conditioning as beneficial and necessary. Certainly, the comfort aspect is very pronounced in our lives and was once available to only the very wealthy and privileged. Sitting around sweating and over-heating is no fun, and most of the time cool water alone does not cool us down enough. Unfortunately, there are drawbacks to air conditioning, especially when it’s set too cold for comfort, or improper maintenance has been the norm for a particular air conditioning system. Remember the Legionnaires Disease outbreaks a while ago? In many cases, they were caused by faulty systems and improper ventilation and air-flow. Okay, air conditioning is something that would be difficult to live without now that we are so used to it on a widely available basis. Homes, schools, office buildings, malls and stores, and restaurants are rarely without cool air. The benefits are many including more energy, a sharper mind, increased job performance and the presence of pests such as insects occurs far less in cooler spaces. Dehydration can pose a problem for people and animals in overheated areas, which is another benefit of A/C. Finally, a well maintained air conditioning system can help in controlling dust and allergens that can be harmful. 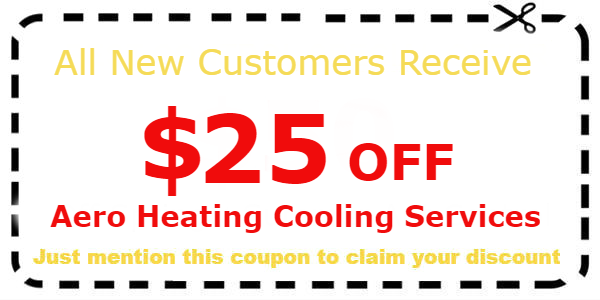 If there is any chance that your system is not working properly, make sure you are employing the best air conditioning repair company you can find. On the other side of the coin are the arguments made for reducing or eliminating air conditioning. To name a few, sudden changes in temperature and humidity can adversely affect breathing and the whole respiratory system. It’s drying effect mucous membranes and even the skin can be very noticeable and uncomfortable. While less offensive, the ambient noise, or noise pollution can be irritating and sometimes intrusive. If an A/C system is not properly maintained, air circulation can be poor and can lead to the transmission of infectious respiratory diseases and undesirable air-borne particles such as fungi and dust leading to allergic reactions. Air conditioning has also been associated with chronic rhinitis and throat irritation. Finally, air conditioning has also been seen to contribute to eye conditions such as conjunctivitis and blepharitis, and may make contact lens wearers uncomfortable. ​Most people would probably take air conditioning over staying hot so make sure that systems are properly and professionally installed and maintained, beware of extreme temperature changes when going from extreme hot to chilled air, (maybe carry a jacket), make sure humidity levels are kept comfortable (between 60 and 75%) and filters and cleaners are maintained. It’s hard to imagine a world without the ability to keep the extreme heat at bay with well-maintained air conditioning.